Summertime means shorter sleeves, higher skirts, and louder catcalls. Sunglasses give me the courage and the camouflage to return their gaze. It is the height of summer, and they have appeared in force for the season’s viewing. Their own plumage is varied but they are alert to an approaching female presence. They are the urban male peanut gallery, Homo sapiens catcallus, and their heads are on a swivel. On humid, sun-baked streets all over America, skirts are higher, sleeves are shorter, shorts are briefer. Eyes that were dormant in winter have opened up with the warming weather. The sidewalk becomes a catwalk, and H. s. catcallus is known for voicing criticism or approval. Recent field notes on the subspecies: Seventh Avenue, Manhattan, 10 a.m., the temperature 80 degrees. Two males at a corner, a female briskly walking by in a sundress and sandals. Their murmurs follow her in one continuous contrail: Good morning gorgeous. Hello beautiful. You look fine. Where you headed? Can I have a smile? Exhibited behaviors include all manner of audible calls, whistles, and exaggerated head spins. The female’s shoulders stiffen almost imperceptibly, but she keeps moving toward her destination. From behind my dark glasses, I watch the males&apos; roaming eyes, always insinuating, already looking for another target. H. s. catcallus can be found everywhere: A Cornell University study released in May shows that 84 percent of females in 42 cities around the world first experience street harassment before the age of 17. Shuttling from New York to Los Angeles to Paris to Lisbon—a quick look through my notes for just the month of June shows that an unusually hot start to the northern hemisphere summer has coaxed great numbers to the streets. The stares and whoops of the male subspecies need no translation. (Though the rare female does exist, it is the male who largely exhibits this distinctive behavioral pattern.) Even in San Francisco, the marine layer does not shield the city’s females for long. Once the fog burns off, H. s. catcallus emerges. Note that he is chiefly identifiable by behavior, as his outer appearance is mercurial—don’t be surprised if he turns up in anything from gray business suit to reflective orange construction vest to faded blue Captain America T-shirt and jeans. Their murmurs follow her in one continuous contrail: Good morning gorgeous. Hello beautiful. You look fine. Where you headed? Can I have a smile? A couple of years ago, photographer Hannah Price captured the activity of H. s. catcallus on the streets of Philadelphia for her “City of Brotherly Love” series. Price&apos;s portraits reveal the range of individuals stretching their vocal cords for her attentions. Her camera&apos;s gaze, however, changes the power dynamic to which the subspecies is accustomed. One male appears to be rolling up the window of his car; another has turned away, as if unsure; a third leans back into a park bench. Still others hold the gaze, with a measure of discomfort at the return observation. Do we detect a tremor in the bravado? Reverse the unwelcome, blatant viewing, and there is, it seems, vulnerability. What impact does this subspecies&apos; aggression have on the surrounding population? Many non-hooting males tolerate him, but research shows that, among females, there is a heightened stress response, characterized by self-judgment and doubt. Clothing choices carry blame—It’s hot out, but maybe I won’t wear this dress. There is fear—I avoid that corner because I get a bad feeling when I see that guy looking at me. 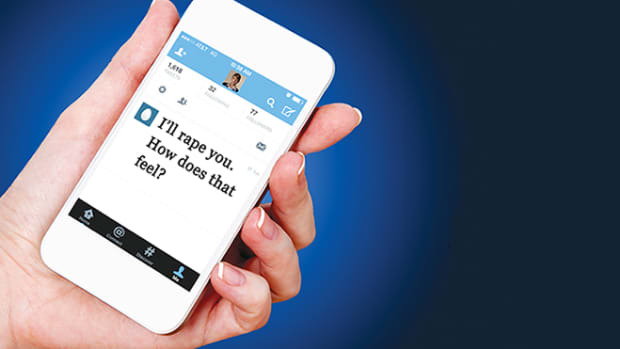 Unwanted attention can feel like an attack. The purpose of the catcall is still an open question. Is it a mating ritual? The bulk of evidence suggests that the strategy isn&apos;t particularly effective in drawing a mate. Is it, then, to assert dominance? Sometimes H. s. catcallus seems to perform mostly for the benefit of others in his in-group: Hey baby don&apos;t you want to say hi? is followed by the approval-seeking: Uh, guys am I right? These non-silent observers can travel in sizable packs, communicating with chattering, hyena-like laughter and a strutting walk that recalls that of the peacock. But other times the male exhibits alone, quietly. It is during these times that female observers should most be on guard. Far from harmless, the pivot from smiling murmurs to vicious words can happen in an instant. I remember the first time, a decade or so ago, when I felt the true menace of H. s. catcallus. A middle-aged specimen approached me on the way to work one morning near Bryant Park, in Manhattan. Clad in a dark suit and swinging a briefcase, he leaned in as he passed, issuing an ugly remark, saying what he wanted. My response was disbelief, then adrenaline-fueled fury. My palms started to sweat, my heart raced. I experienced a visceral loathing, one that stayed with me for days. They can travel in sizable packs, communicating with chattering, hyena-like laughter and a strutting walk that recalls that of the peacock. H. s. catcallus lives among us year-round, but this is the time of year when he is most visible. It is an excellent opportunity to examine him more closely. 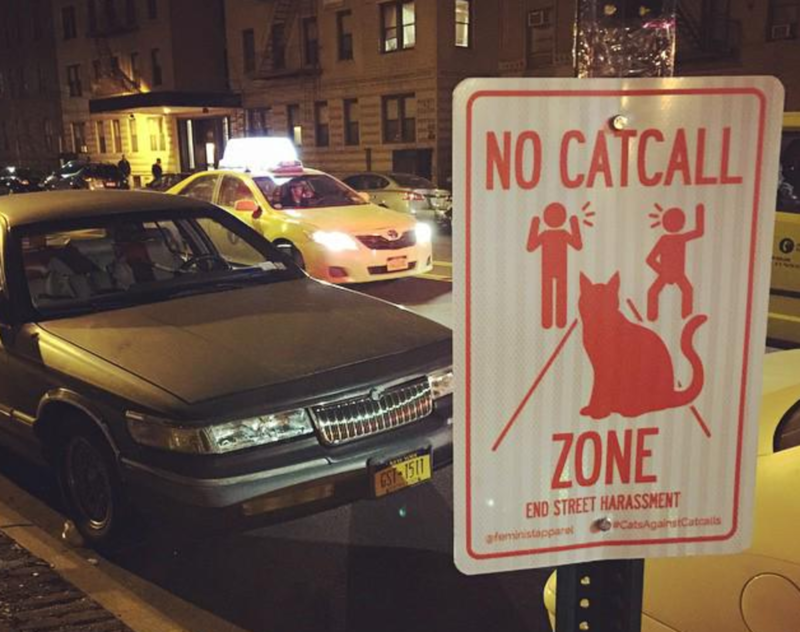 Numerous experiments in recent months—“no catcall zones” popping up in New York and Philadelphia; a shaming video of males catcalling their own mothers in Lima—have drawn unprecedented attention to this pest. If you encounter one, act responsibly. Though most will avoid him, there is some indication that if you are vocal in return, he may be conditioned to alter his aggressive behavior toward females. Oddly enough, it’s when nearly naked, wearing a swimsuit at a beach or pool, that I feel least vulnerable to violation by this seasonal intimidator. In part it’s because I’m controlling the context for viewing: Look at my breaststroke, not at my breasts. But perhaps it’s also because H. s. catcallus is stripped down to a swimsuit, too. In the shared attempt to stay cool, everyone in this environment is outfitted in the same basic uniform. For once, as he walks to and from where he needs to go, he and his body must be subject to the same probing, judging, intrusive eyes that he trains on the rest of us. Sometimes that is discomfiting enough to avert his gaze and silence his call. 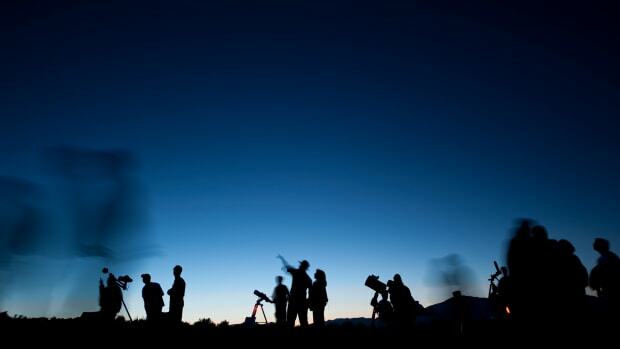 A new survey of astronomers and planetary scientists reveals a workplace harassment problem in the space sciences. 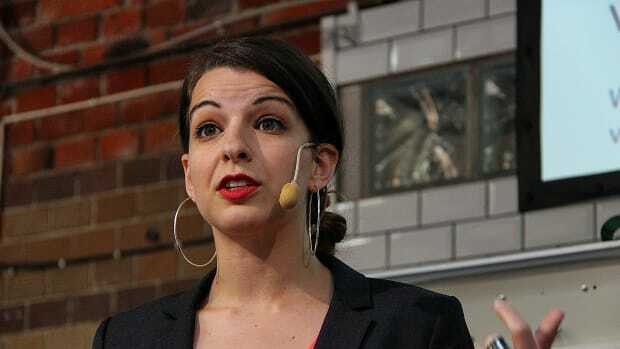 Has Anita Sarkeesian Been Silenced? Gamergate is a cautionary tale that may dampen others’ willingness to speak out, but the problems of video game misogyny and the online harassment of women are more visible than ever. 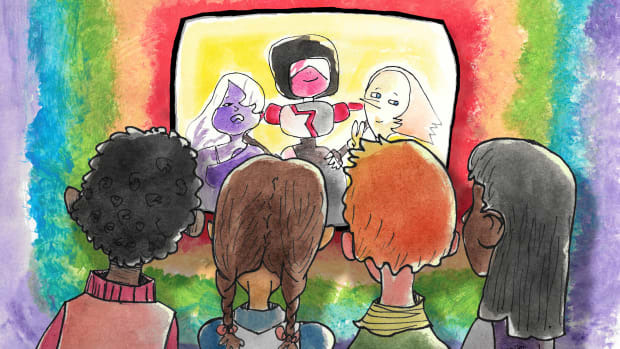 Studios and networks have closeted queer children's characters for a very long time. But in recent years, a few progressive exceptions have burst out. 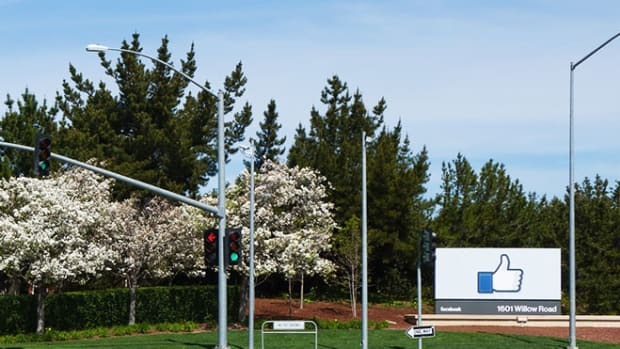 Is the Big Tech lobbying effort for immigration reform just a ruse to keep wages low? 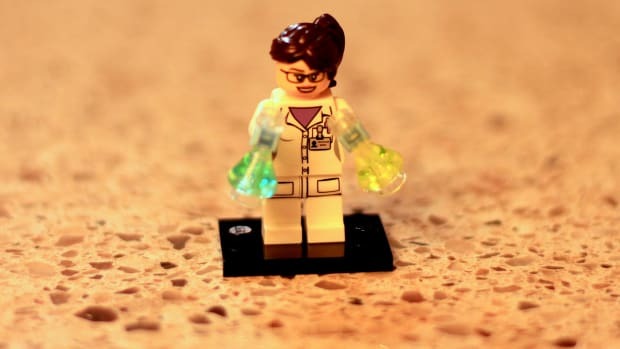 One new study finds a strong link between how many female science majors a country has, and the stereotypes its citizens hold about gender and science.